I admit it, I have trouble with commitment. Every time I think I’ve found The One, I inevitably end up disappointed and unfulfilled. So I keep searching, in the hope of one day finding true happiness. 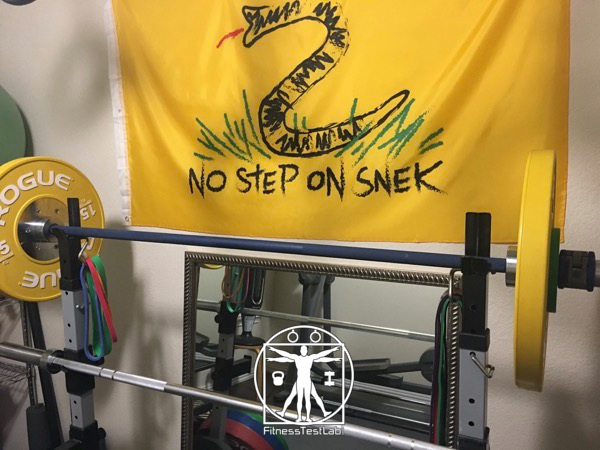 The Cerakote Training Bar from American Barbell is a very well made piece of equipment that significantly improves the biggest problem I’ve had with most of the bars I’ve tested. What could this be you ask? Well, I’ll give you a hint…it’s the grip. 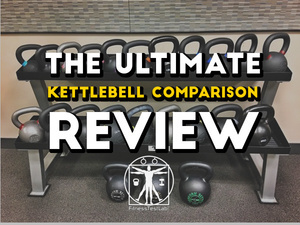 I’ve tested many different types of barbells, but in each case it’s usually the grip that ends up disappointing me. Whether due to knurling, finish, or a combination of the two, I inevitably find most barbells hard to hold on to once my hands start sweating. Ordinarily I’d agree with you. But my home gym is one half of a spare bedroom inside my house, and chalk is messy. I need equipment that requires as little chalk use as possible. Enter the American Barbell Cerakote Training Bar. For those unfamiliar with Cerakote, it’s a very thin layer of polymer-ceramic coating that has been used for years on firearms due to its durability and corrosion resistance. Cerakote resists rusting longer than many other common finishes in controlled corrosion testing, so it’s a great choice for humid environments like here in central Texas. 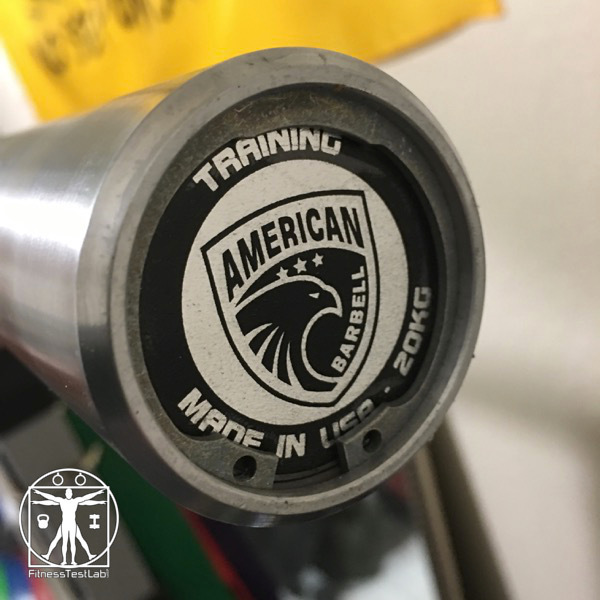 American Barbell was the first company to offer a Cerakote coating on a barbell, and this innovation has proven to be so useful that several other well known companies have followed their lead. 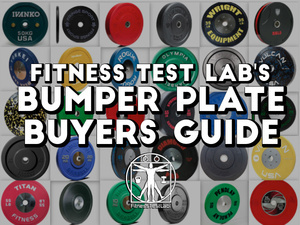 In my experience, a “training bar” refers to a bar spec’d mainly for Olympic weightlifting, but constructed with bushings instead of needle bearings to bring down costs. Needle bearings typically provide a higher amount of sleeve spin than bushings, but unless you’re a high-level athlete you’re unlikely to ever notice the difference. 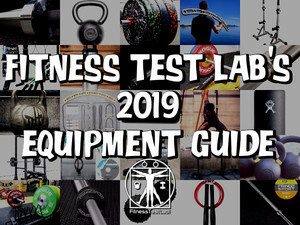 The American Barbell Cerakote Training Bar falls squarely into this category, with specs that make it useful for cleans, snatches, and jerks but at a more affordable price than a pure Oly bar. Knurl: Single marking, IWF spec. No center knurl. *Also available as a 15kg version with a 25mm diameter shaft and slightly shorter bar length. Of all the companies I’ve received equipment from, American Barbell is by far the best at using enough packaging to properly protect products during shipping. Just like the T-Grip Shorty Bar I previously reviewed, the Cerakote Training Bar came extremely well packed. The bar was inserted in a thick cardboard tube with inserts screwed into the ends of the tube to keep them from popping out during shipment. The cardboard tube was probably the sturdiest I’ve seen so far, but what really set the packaging apart was the protection of the sleeves. 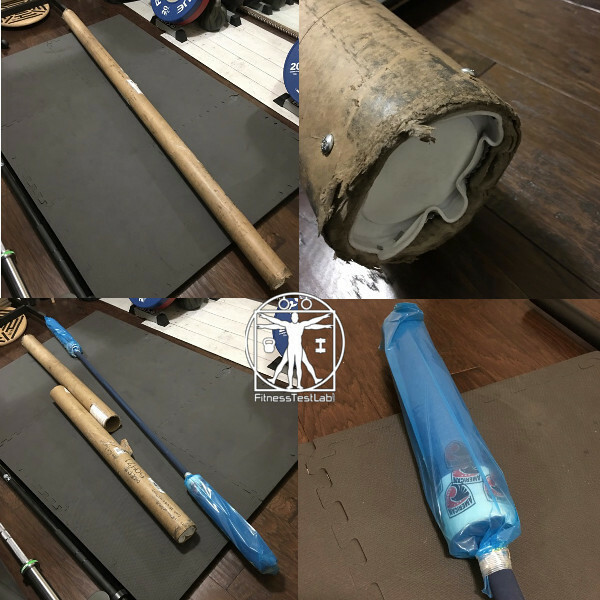 Both sleeves were encased in a foam tube and sealed in a plastic bag for extra protection. No other company I’ve had gear shipped from has gone to this much effort to protect their products during shipping. They even included a brochure in the tube explaining how to care for the barbell, which boils down to using a synthetic brush and some 3-in-1 oil to keep it clean. Considering how expensive a barbell can be, this level of detail is much appreciated. The American Barbell Cerakote Training Bar is the first Cerakote-coated barbell I’ve owned. Cerakote offers unique coloring options that simply aren’t available with other finishes like chrome, stainless steel, or zinc. I ordered a navy blue bar with chrome sleeves, and the color contrast is striking even though navy is a very subdued color. Some of the other color options are much more vibrant, like red, orange, pink, and even “zombie” green if that’s how you want to roll. Bottom line, this bar looks awesome. 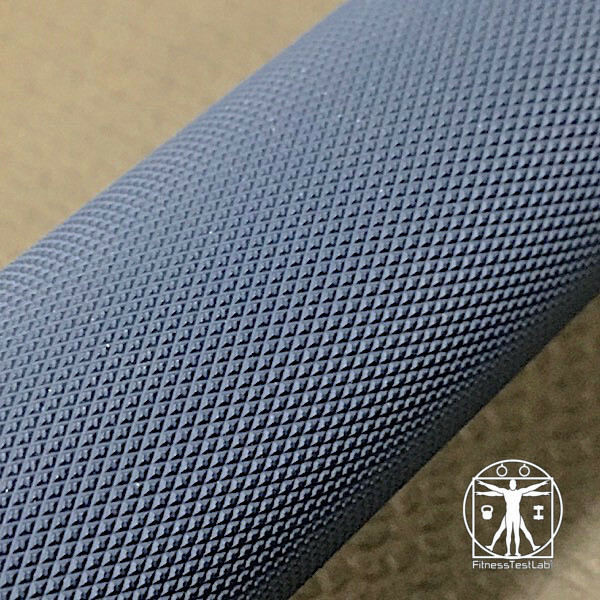 This bar was clearly designed with CrossFit-style WODs in mind, since the knurling is mild yet dense enough to provide plenty of grip without tearing up palms during high rep WOD sessions. The knurl on the Cerakote Training Bar is etched in a high density pattern that provides plenty of grip without being a cheese grater. I know knurling preference is extremely subjective, but I like this particular pattern and depth a lot. The Cerakote coating also feels different to the touch than any bar I’ve tested finished in chrome. The finish feels tacky to the touch, almost as if it had already been chalked. Nice! Feel the knurl. Feel it! 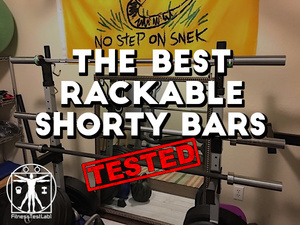 The build quality of the Training Bar is also top notch, and I don’t say this lightly since I’ve tested a lot of great bars. The sleeves are entirely smooth with no ribbing and have almost no side-to-side play in them. The spin is buttery smooth and consistent, especially considering this bar uses bushings instead of bearings. The sleeves also spin very quietly, which is unusual for a bushing bar. Most of the other bars I’ve tested that use bushings produce at least some noise due to the friction of the shaft spinning inside the bushing. This bar is not ninja silent, but almost. More like ninja-in-training silent. Does the silence matter? Probably not, although I think it does indicate a well constructed collar and sleeve assembly. 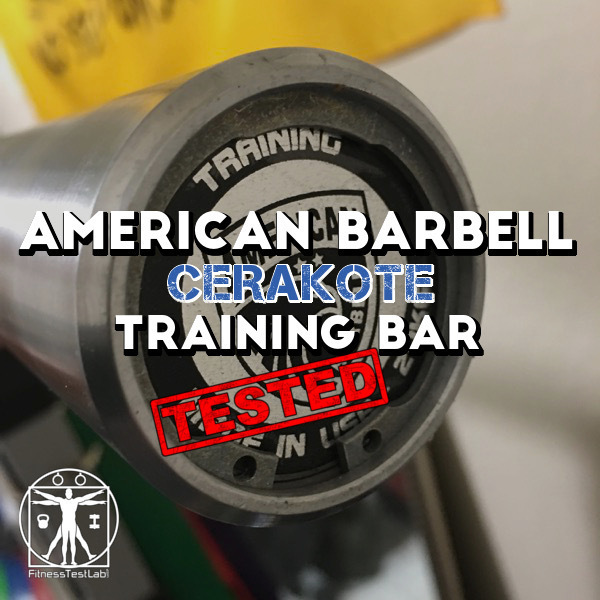 The American Barbell Cerakote Training Bar may be pretty, but does it get the job done? Short answer…yes. My barbell workouts these days consist primarily of modified Olympic lifts – power cleans, front squats, power jerks, and power snatches. 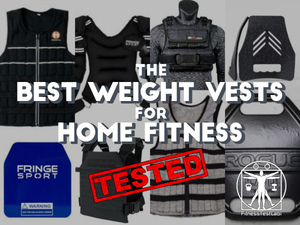 Don’t let the word “power” fool you though, these modified lifts are less technical versions of the full Olympic lifts. Easier to learn, with less risk of injury for old guys like me. 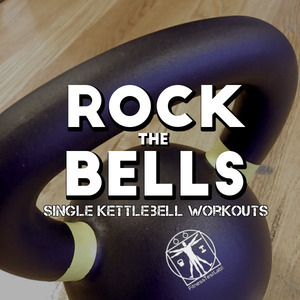 I also throw barbell WODs into the mix that involve a mixture of different types of static and dynamic lifts, and I deadlift on a regular basis. I’ll cut to the chase, this bar works exceptionally well for everything I’ve used it for. The 28mm shaft diameter and medium knurling are perfect for Olympic lifts and while the bar does have some whip to it, it’s still stiff enough for static lifts like deadlifts, squats, and presses. However, where the Cerakote Training Bar really shines for me is with the grip. I sweat buckets when I’m working out, which makes holding on to a bar very difficult. I usually have to resort to chalk, which I don’t like to do because it can get messy. The Cerakote Training Bar is the first and only bar that I’ve been able to use for an entire workout without having to resort to chalk even once! I’ll say that again, because it’s a big deal for me. I’ve been able to use this bar for an entire barbell-based workout without ever having to open my chalk bag. Sure, I still have to wipe the bar down sometimes between sets, but before I had this bar I would frequently have to stop during a set to wipe the bar and reapply fresh chalk or risk losing my grip. Not cool! On the flip side, some days I sweat more than others and I have had to occasionally use chalk with this bar. I’ve found that the dense knurling grabs and holds a lot of chalk. In fact, it might hold chalk a little too well – the chalk is easily wiped off the smooth part of the bar but gets really caked into the dense grooves of the knurl. The caked-in chalk is very easy to see too, because of the contrast against the shaft coloring. 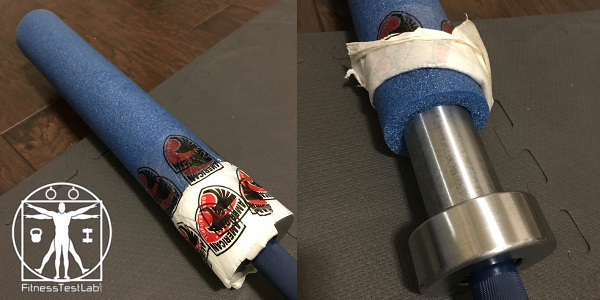 The Cerakote finish on the Training Bar provides what might be the best corrosion resistance available on a barbell right now, so I guess you could do absolutely zero maintenance on this bar and not risk damaging it if you don’t care how it looks. I prefer keeping my equipment clean though, and I’ve found the only way to get all the chalk and moisture out of that dense knurl pattern is with a good quality synthetic brush. I use the brush to dislodge the chalk and a rag to wipe it off, and when I’m done the bar looks practically brand new. 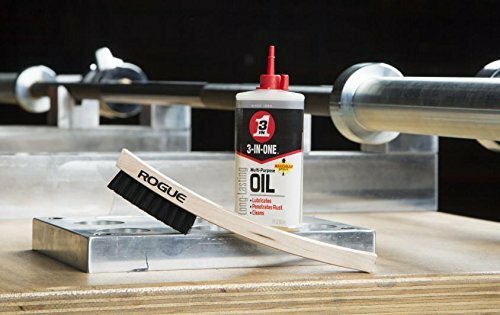 Incidentally, if you don’t already own a good quality synthetic brush, Rogue Fitness sells a great barbell cleaning kit that costs just under ten bucks plus shipping. The combination of a dense knurl pattern and the Cerakote finish have almost entirely solved the grip problem for me, so I’ve been using the American Barbell Cerakote Training Bar almost exclusively ever since I got it. I still have my Fringe Sport Shorty Bar and I do have uses for it, but it’s finished in chrome so it unfortunately falls into the “hard to hold when sweaty” category. Even though I prefer short barbells for my confined workout space, the awesome grip on the Cerakote Training Bar handily beats the compactness of the Shorty Bar. 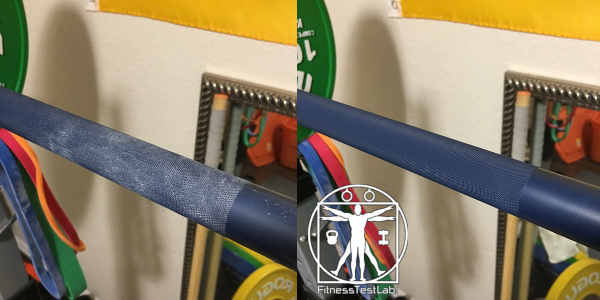 The American Barbell Cerakote Training Bar ticks all the right boxes for me in terms of usability and improves my main sticking point with almost all other barbells…the grip. 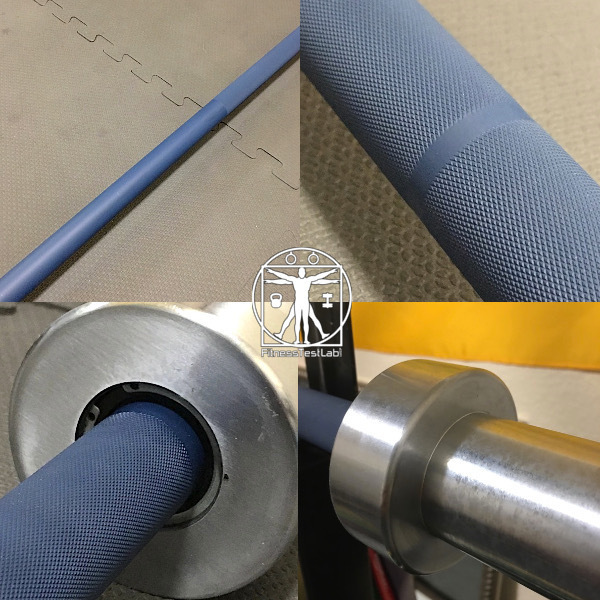 The combination of a dense knurling pattern and a Cerakote finish mean I can (and do) use this bar for full workouts without having to resort to chalk. This is huge for me since I do my lifting inside my house and chalk is messy. The build quality of this bar is excellent and the color options add some nice flair without sacrificing usability. 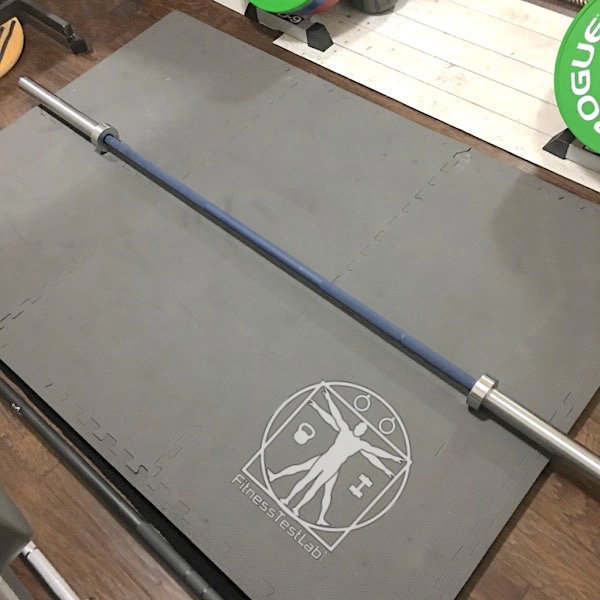 If you’re looking for a barbell to use at home for Crossfit-style WODs or Olympic weightlifting, the Cerakote Training Bar is a fantastic option to consider. Feel free to ask any questions in the comments if there’s something you’d like to know that I didn’t cover!